With all of the essential oil options available right now, knowing how to use them can be a daunting task. The Smart Mom's Guide to Essential Oils is filled with natural solutions that will help you provide your family with natural solutions to keep your family healthy and your home home free of toxins. This guide is packed with information, recipes, and solutions that help moms become pros at using essential oils. Perfect for the first time user and those who have used essential oils for years. 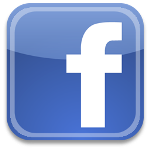 There are recipes for non-toxic homemade cleaners, pain relievers, first aid, sleep enhancements, skin care, mood lifters, stress relievers, and much more. 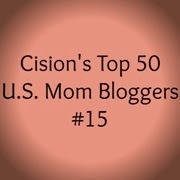 Recipes list the essential oil ingredients you'll need for each concoction, plus there are adjustments in measurements for different ages of everyone in your family. There are over 200 pages in this amazing paperback book. I've reached for it again and again. 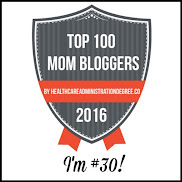 The Smart Mom's Guide to Essential Oils is a perfect Mother's Day gift idea! Silver Sculptor has fabulous ideas for unique Mother's Day gifts and Father's Day gifts. 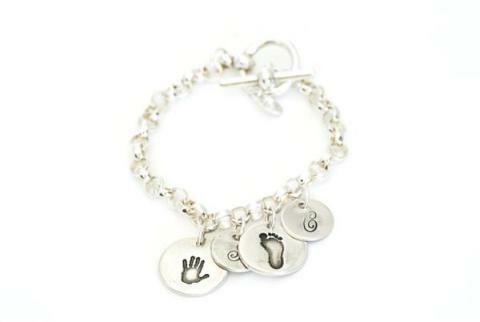 These gorgeous keepsakes are the perfect way to keep your child's actual handprints and footprints tiny forever. Choose from necklaces, bracelets, keychains, cufflinks and even golf ball markers! Silver Sculptor custom silver jewelry items and gifts are beautiful and made with loving care. 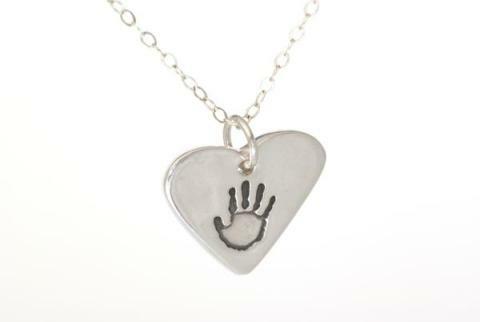 You can either scan and mail your child's handprints or footprints, or Silver Sculptor will mail you a small kit to capture their prints that includes a special inkless wipe, archival coated paper, and instructions to take a print of your child’s hand or foot easily. The print is then used to make the stamp that will be impressed into the silver. You can even get names, dates, and initials engraved onto the pieces you choose. 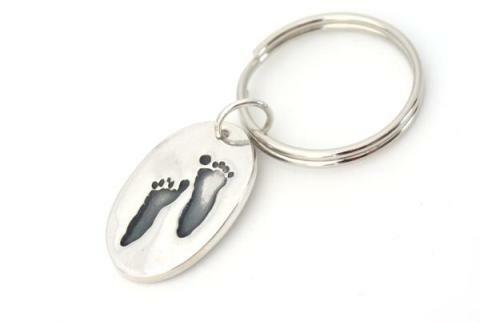 These keepsakes are also perfect for grandparents! If your baby is a furbaby, you can even use pawprints to make stunning jewelry that is truly one of a kind. There are so many wonderful items to choose from and you will love the high quality of each individually designed piece. I love the charm bracelets! 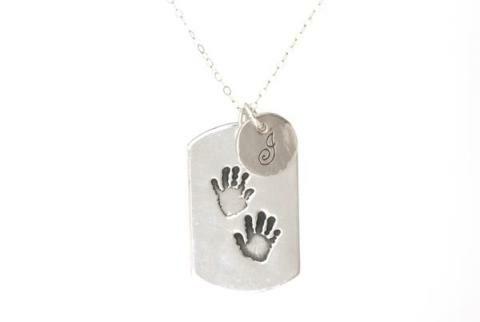 Visit www.handprintjewelry.com to order today and be sure to enter below to win any one item from Silver Sculptor! 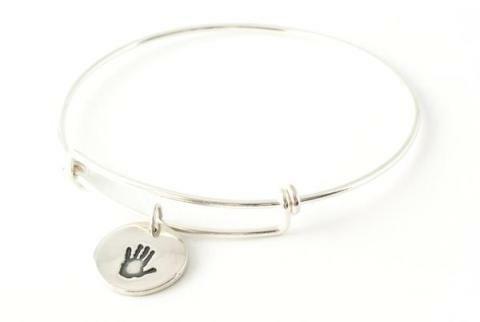 Win your choice of handprint jewelry from Silver Sculptor! To enter, just fill in the giveaway form below. Giveaway is open to US residents ages 18 and up. Winner can choose any item from www.handprintjewelry.com. Giveaway ends on 5/15/17. Good luck! 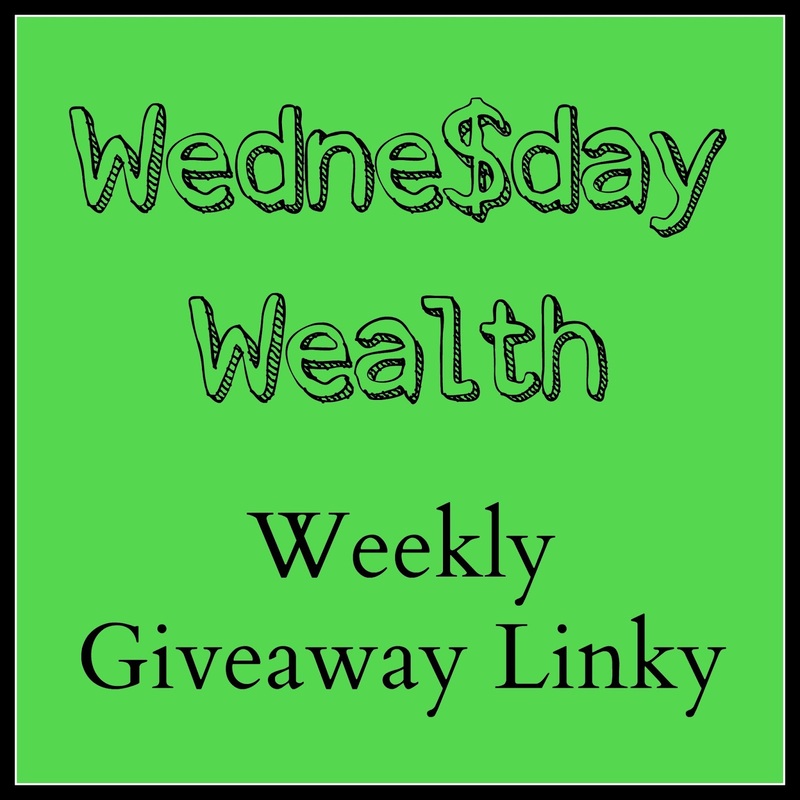 Wednesday Wealth Weekly Giveaway Linky! Rain won't keep me from smiling when I'm wearing this gorgeous rain poncho from November Rain! It's a wonderful Mother's Day gift idea and with their one-size-fits-all style, you can't get the size wrong. I chose the oriental bird print, but you can also choose from a beautiful blue or a tribe print. These waterproof ponchos come in a drawstring pouch that can be used to store the poncho for traveling, but it also makes a cute little pouch for carrying your smartphone and keys in the rain. This fashionable poncho is very soft, roomy enough to wear over a jacket, and extremely comfortable to wear. They even get softer with age. November Rain ponchos feature a zip up front closure, snaps at the wrist, and a fabulous hood that attaches with snaps. The fabric is a luxurious satin polyester with a strong waterproof backing. The stitching is reinforced and the seams are all heat-sealed. I'm very impressed with the quality! The colors of the oriental bird print are bright and simply stunning. It's a cute, fun poncho to wear and it definitely kept me dry even when it started raining during our photoshoot. I absolutely LOVE my November Rain poncho! Check out their Giving Back project - 10% of all revenue is donated each quarter to various water-related projects. The first project is in northern Thailand and you can read more about it here: https://novemberrain.co/pages/waterculture-project-northern-thailand. 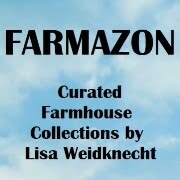 discount code APRRAIN1 on orders by April 13. Don't forget to order one for your mom too! If you've ever traveled with your children, you know how challenging it can be to keep them entertained on long flights or extended car rides. BuddyPhones InFlight Headphones are designed specially for traveling children, with sharing and safety in mind! The compact design fits conveniently into small handbags and carry-ons for traveling, and BuddyPhones even come with a drawstring bag for simple portability. BuddyPhones InFlight allow you to choose from 3 different volume settings. Safe Flight Mode maxes at 94db and provides safe listening in louder situations. Safe Kid Mode, at 85db max, is great for normal listening. Safe Toddler Mode reduces the max volume to 75db, which is perfect for children with sensitive hearing, attention deficits, or autism. BuddyPhones are incredibly durable, with folding arms that help protect them from breaking. The soft cushioned ear pads and headband are super comfortable. The BuddyCable is a unique, audio splitter that allows up to 4 buddies to share the same device and the flat, detachable cable design minimizes choking hazards. What a great way to make travel more enjoyable for everyone! BuddyPhones also have a built-in Microphone to use with interactive learning apps and ideal for little scholars to use for study time. They come in blue, pink, purple, or green, plus they come with sticker sheets so your little buddy can customize the headphones. BuddyPhones can also be fully adjusted to different sizes. for 20% off any BuddyPhones at Amazon.com. Then, enter below to win your choice of BuddyPhones! Enter to win BuddyPhones in your color choice. To enter, just fill in the giveaway form below. Giveaway is open to US residents, ages 18 and up. Giveaway ends on May 14, 2017. Good luck!